According to Indian philosophy, the ultimate aim of human life is to achieve salvation. In the developmental stream of civilization, hunger and sorrow are the important factors, which compelled mankind to search a solution. Man identified many things from his surroundings, which were found to be useful in eliminating hunger and sorrow. In this series, various nutritive food and drug materials have been explored. Chronologically, different kinds of knowledge were developed and society became civilized. Time, season, food habits and life-style influenced the human health. Due to change in food habits and life-life-style, various new diseases were produced. Simultaneous their remedy and management were also developed. Man has specific sense organs and wisdom, which differs him from other creatures. Hence, man is able to think about the future and recollect the past. In this connection, spiritual thoughts and findings were evolved. Spiritual achievement is possible with the specific mental status and concentration. Feeling and realization of truth or existence of God is possible with the super concentration. This type of super concentration is possible with good physical and mental status. After achieving amenities essential for the human life, spiritual thought appears, which compels the person to think about the future. Diseases and senility are the important factors, which create hindrance in happiness and pleasure of life. For the prevention of disease and senility, various measures and ways were explored. In the ancient therapeutics, this measure is known as Rasayana therapy. It provides resistance and vitality, prevents senility, produces a disease free strong body and also a feeling of sense of wellbeing. Many materials were identified to possess immuno-booster and rejuvenating properties. With the help of rejuvenating measures, mankind achieved long and healthy life span. Ayurveda is a holistic and divine life science. 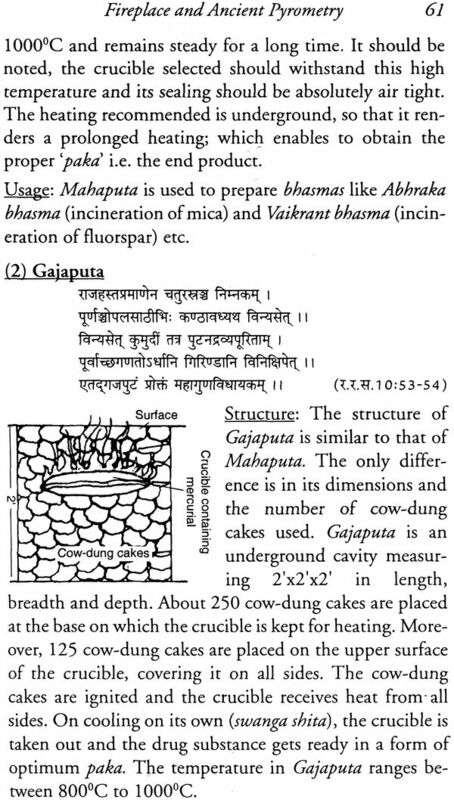 It was developed by the divine people on realization through their deep sense and supper concentration. What so ever may be their thoughts and findings, they are very correct and time tested. Earlier vegetable sources of materials were the main source of diet and drug. Later on animal products and mineral materials were also identified and incorporated in therapeutics. 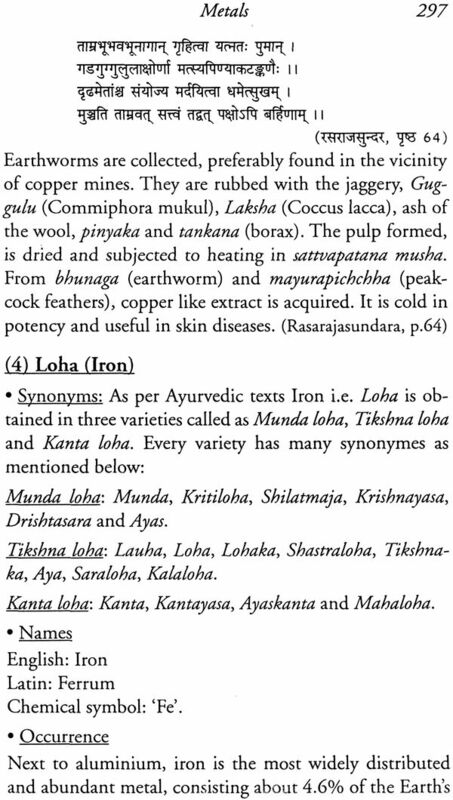 Particularly, mineral materials were found very potent for the elimination of diseases and rejuvenation purpose. 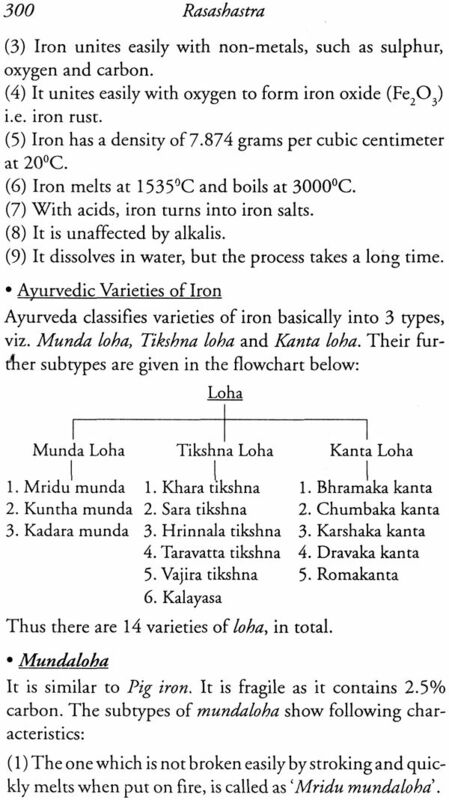 However, during the Samhita period the use of minerals were very limited. 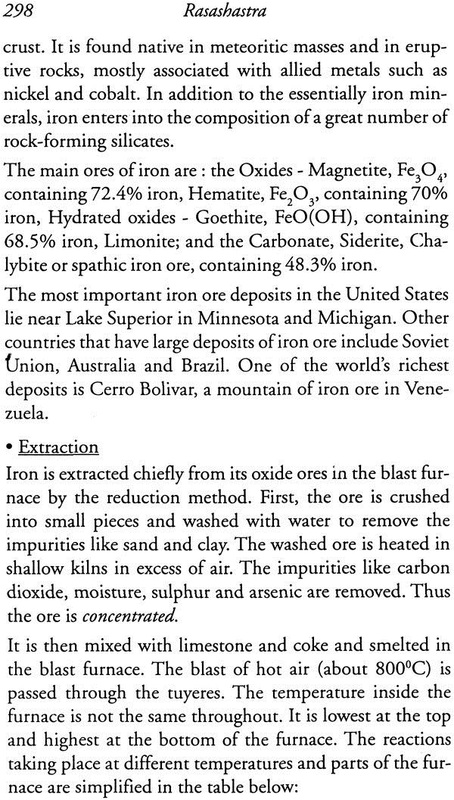 Minerals are associated with various impurities and toxins. If administered as such, they may prove injurious and harmful for health. To make them therapeutically suitable, it is necessary to eliminate the toxic qualities in them. 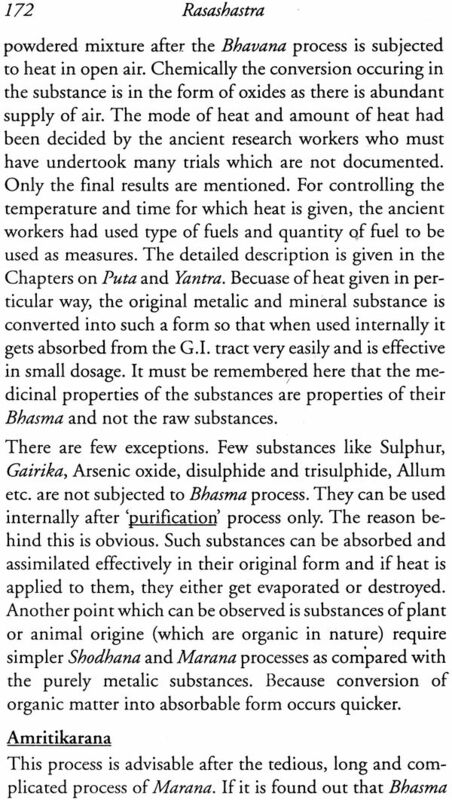 For elimination of impurities and to make them suitable for internal administration, specialized procedures like Shodhan, Marana, and Samskara were developed in the mediaeval period (i.e. 8-10th cent. AD). After the development of these procedures, mineral originated material and their products like Bhasmas, Kupipakvas, Parpati, Pottali etc. became frequent in use in Ayurvedic therapeutics. 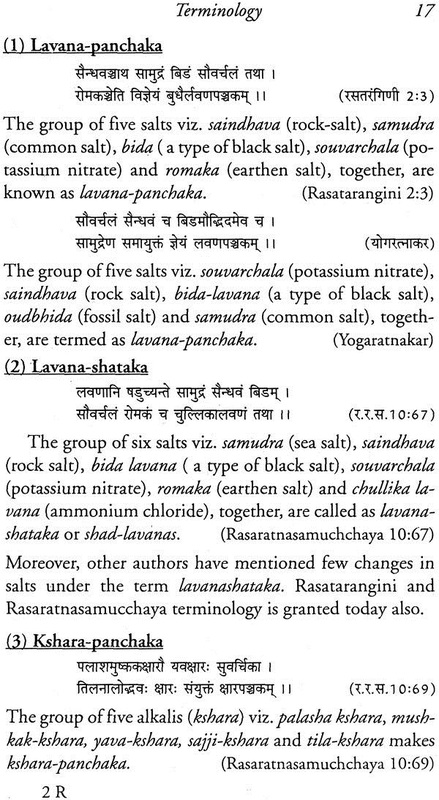 Rasashastra is a branch of learning of Ayurveda pharmaceutics, specially dealing with the minerals, metals, precious stones, certain poisonous herbs and their processing. 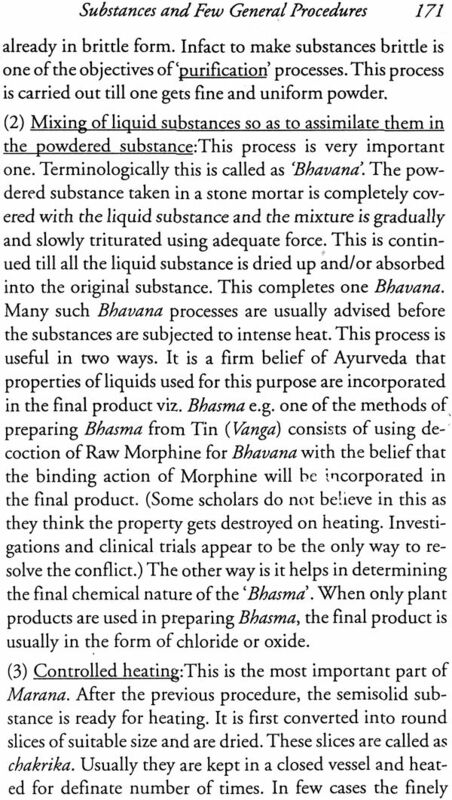 These materials are very potent in eliminating dreadful diseases and also for rejuvenation purposes. Mineral based products are known as Rasaushadhi. Due to their small dose, quick effectiveness, tastelessness, effectiveness on dreadful diseases and long self life. 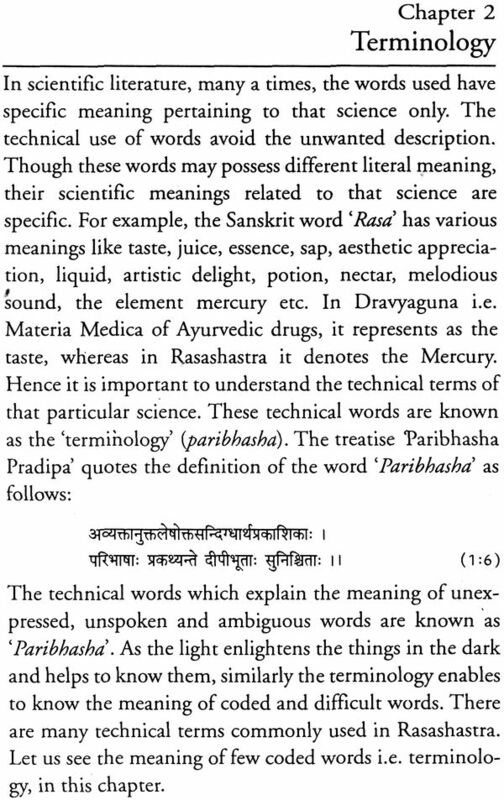 Rasaushadhis occupied superior status among the Ayurvedic medicine. It also believed that Rasashastra is an expansion of Ayurvedic Rasayana therapy. Most of the dravyas of Rasashastra possess Rasayana properties. 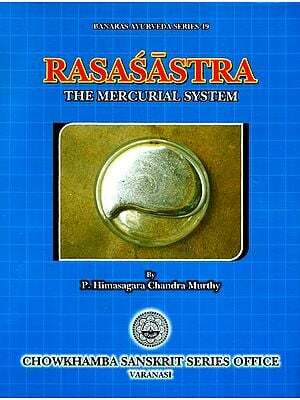 Mercury is the chief material of Rasashastra. 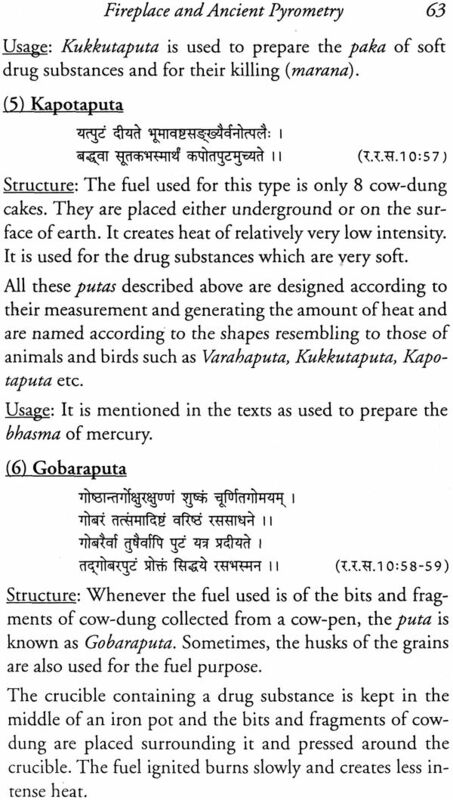 Rasashastra is developed on the nucleus of Mercury. Mercury is such a material, which consumes all the metals and materials of the universe. Hence, Mercury is considered as essence of minerals. There is no materials in the universe without having therapeutic property. 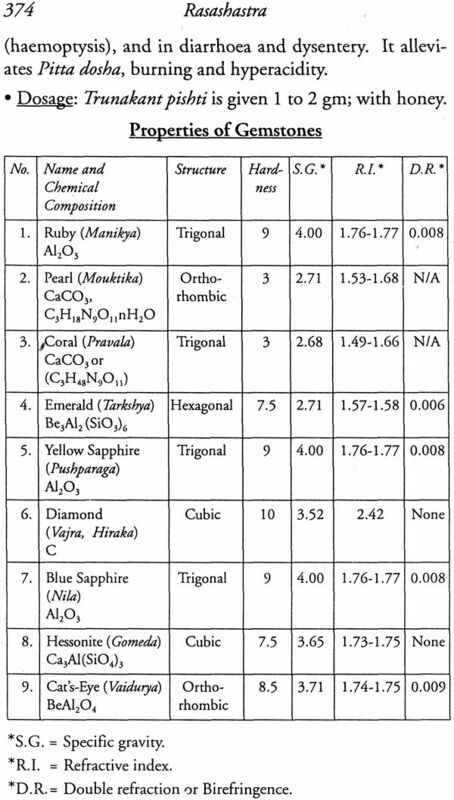 Materials possess properties according to their physico-chemical constitution. Mercury is one of them having wide range of therapeutic property. 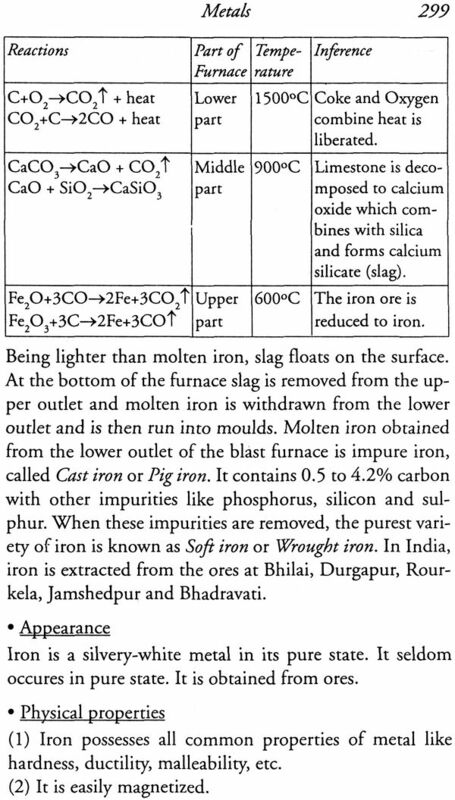 Due to its amalgamating quality, it carries the properties of the amalgamated/consumed materials. 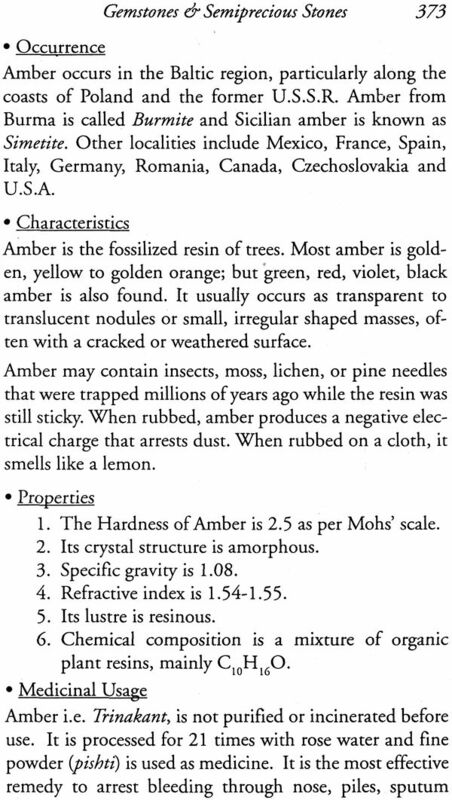 No other material has this type of specific quality. After consumption of various materials, it develops high therapeutic in Ayurvedic therapeutics. 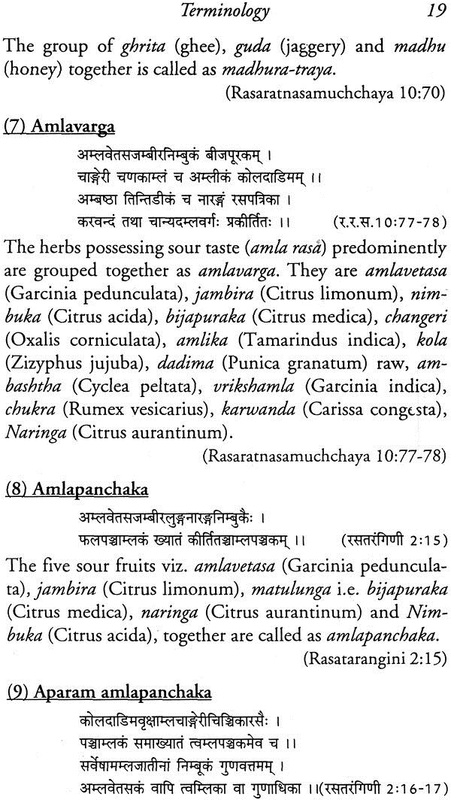 Ayurveda is recognized through its medicine. Medicine is a too by which diseases are eradicated. Genuine and standard medicine can only serve this purpose. Training in drug manufacturing is imparted to the Ayurvedic students during their study period to make them confident in drug manufacturing so that they may successfully treat their patients with genuine and standard drugs. 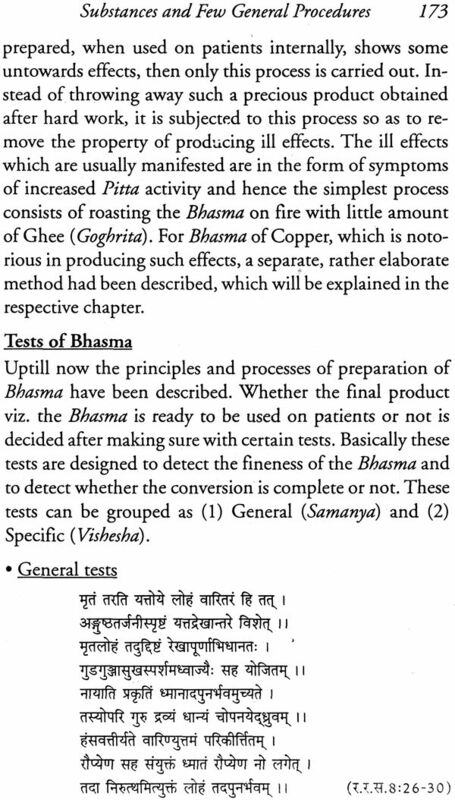 Keeping this in view, Rasashastra and Bhaishajya Kalpana is included in curriculum of Ayurveda. Earlier, subject was taught through the ancient classical texts like Rasaratnasamuch-chaya, Rasendra Chudamani, Ayurveda Prakash etc. 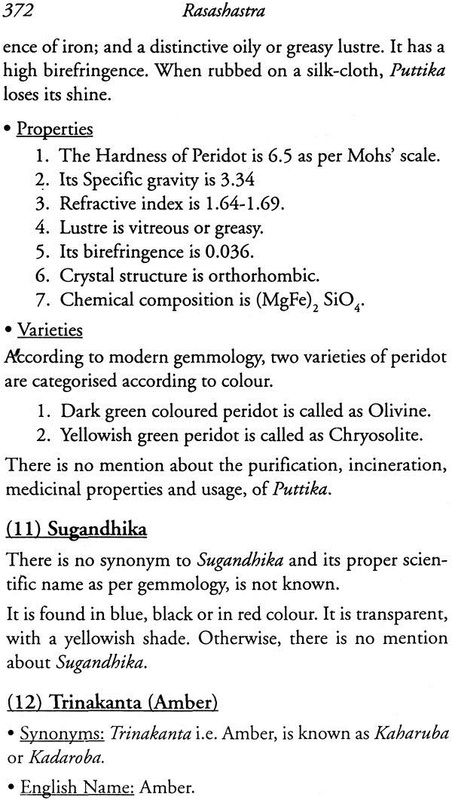 Now many compilation texts are written and available for the students according to the syllabus. Apart from Hindi, these books are also available in regional languages. Nowadays Ayurveda is attaining global recognition and hence there is a need of making these books available in English. In Rasashastra subject, very few books are available in English. There is a need of a book on Rasashastra in English language with good commentary. In this direction Dr. Paranjpe and Dr. Dole have made an excellent attempt and contributed a nice book on Rasashastra. This book reflects and hard and sincere efforts made by the authors. They have covered the entire subject matter with proper scientific explanation. This book is a complete text of Rasashastra and will prove highly beneficial for the teachers, researchers and students of Rasashastra. It will also serve as a good reference text for foreign scholars. I extend my heartiest congratulations to the authors and wish they may contribute much more in the field of Rasashastra and Ayurveda in future. Authors' inspiration for this book grew out of a strong belief that Rasashastra should be shared not only with Indians but with the people all over the world. The wisdom of Ayurveda is recorded in Sanskrit, the ancient language of India. 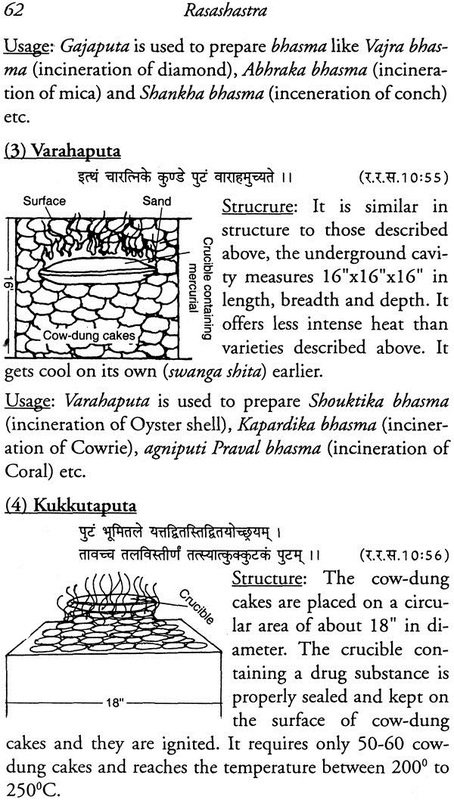 Hence, the authors have deliberately quoted the original Sanskrit verses throughout the book. At the same occasions it was difficult to explain certain concepts of Rasashastra when no adequate English translation may be made. On their first appearance in this text, these are clearly and simply elucidated. Though history of Rasashastra dates back even before 300-400 B.C., when Koutilya's Arthashastra was documented, more and more valuable additions on the subject were recorded during 12th to 16th century. 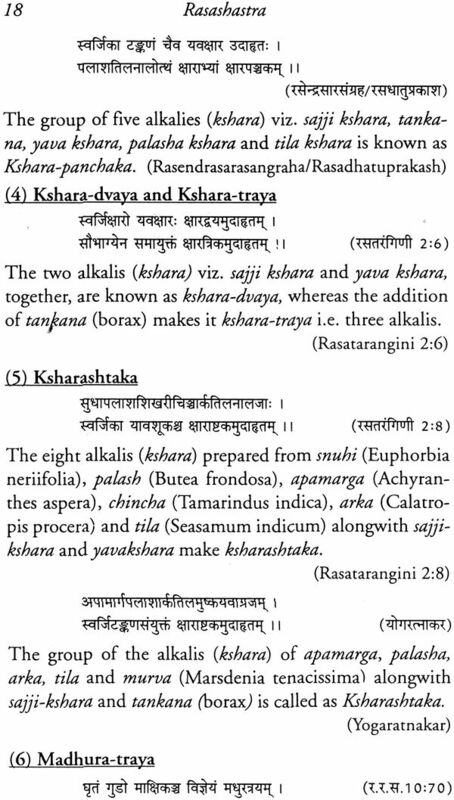 Almost all of them are in Sanskrit. 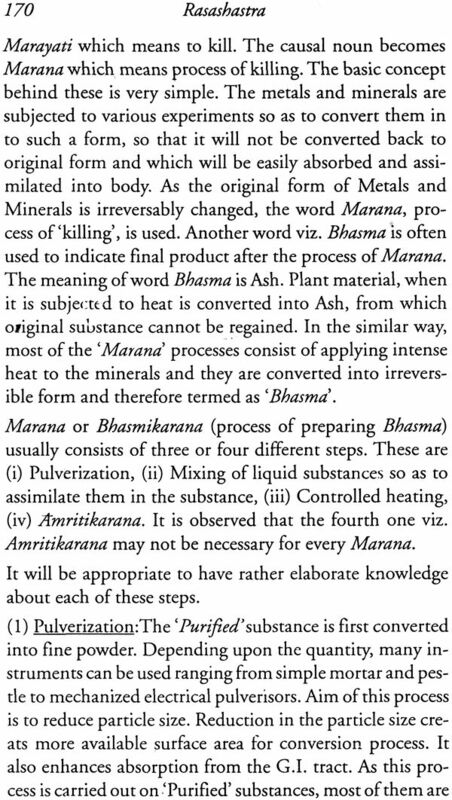 Rasashastra is a vast treasure of knowledge on Mercury and various other metals regarding different methods of their purifications and their therapeutic uses. The medicines described in Rasashastra are fast-acting, effective and more potent. The scope of Rasashastra is very vast and it encompasses the study of ancient pyrometry, various appliances, many minerals, gems and animal sources as medicine. In this book, apart from a mere translation from the classics, a sincere effort for the conceptual understanding of the subject is attempted by us. A conscious effort has also been made to bridge the gap between Ayurvedic philosophy and modern postulates and parameters and develop an integrated approach, based on sciences like chemistry, metallurgy and gemology etc. We are sure that it will be appreciated by students, scientists, researchers, teachers and even by a common man. 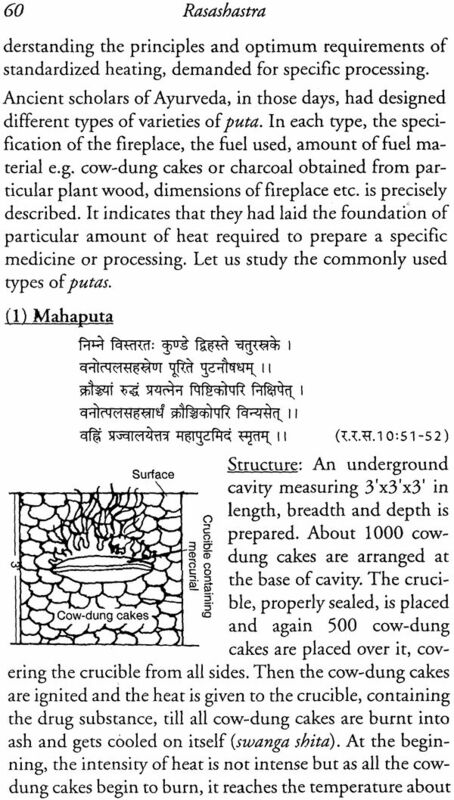 However, this book has been written more in the interest of the students of 2nd year of Ayurvedacharya course as per the syllabus, which is common all over India. We hope it will serve the student fraternity all over India. Dr. Vilas Dole obtained the degree of B.A. M. & S in 1969 from Tilak Ayurved Mahavidyalaya, Pune, affiliated to Pune University. The post graduate degree of M.D. in Rasashastra was also obtained from the same institute. Dr. Dole is head of department of Rasashastra as well as Joint Director of Centre for Post Graduate Studies & Research in Ayurveda in Tilak Mahavidyalaya. His teaching experience is about 30 years. There are four books on Rasashastra Bhaishjya Kalpana written in Marathi to his credit which are very popular amongst students of Maharashtra State. Dr. Prakash Paranjpe, graduated in Ayurveda B.A.M&S. from University of Pune, in 1974 and then secured M.B.B.S. degree from Nagpur University in 1981. Subsequently he did his Ph. D. from Open International University of Complimentary Medicine, Colombo in 1990. he is practicing Ayurvedic Consultant for more than two decades, specialized in the treatment of Acne and Obesity. He is actively engaged in clinical research on various Ayurvedic drugs and herbs to combat especially chronic diseases. He has to his credit many research articles which have been published in various Indian and Foreign scientific journals. He has visited Italy and Germany couple of times to deliver lectures on Ayrveda and medicinal herbs. He also pursued the full course in Italian language of Italian Embassy Cultural Center, at Deccan College, Pune. He has traveled across the length and breadth of India to photograph various medicinal plants, in different seasons. 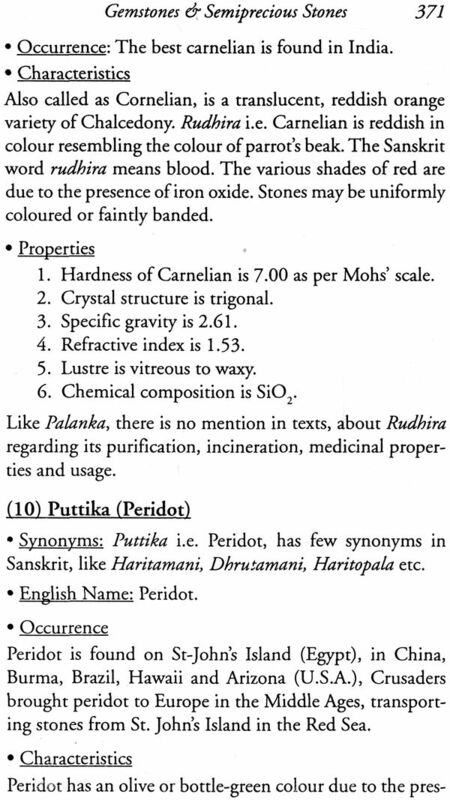 "A Text Book of Rasashastra"
Written by Dr. Vilas Dole and Dr. Prakash Paranjpe is a unique textbook in English on the subject. Incorporation of various tables, flow-charts, line-drawings and coloured photographs have enriched the book in its substance. Humble efforts of the authors to integrate Ayurvedic philosophy with modern postulates and parameters add to the value of this book. This book will be of a great help not only to the 2nd Year students of Ayurveda, but also to researchers, teachers, scientists and people interested in Ayurveda allover the world.